Celebrating 40 years of service throughout Waldorf & surrounding areas! Thank you to all of our customers over the years! Magic Broom is a family-owned and -operated, comprehensive chimney care provider located in Waldorf and Lexington Park, Maryland. We are members of the National Chimney Sweep Guild (NCSG) and are certified by the Chimney Safety Institute of America (CSIA), The National Fireplace Institute (NFI), The Institute for Research in Construction (IRC), and the CSIA’s Certified Dryer Exhaust Technician (CDET) division. We are also the only sweep company in Southern Maryland that can boast a staff consisting of two Master Hearth technicians. We know that every industry experiences changes in both technique and product, so we make continuous education a priority within our company. We attend countless seminars and conventions throughout the year to ensure that we are up to speed on all industry and safety standards and product improvements. With Magic Broom’s thirty plus years of experience, extensive certifications, and dedication to education, you are guaranteed the highest level of service at a fair price. Regular maintenance of your fireplace/stove/insert and chimney system is required to protect your home and family from the dangers of fire, carbon monoxide, and structural failures. At Magic Broom, we work hard to provide thorough, quality, and affordable services so that our clients don’t have to worry about their wallets or their families. Whatever your fuel type, appliance type, or chimney type, we have the experience and expertise to keep your system working safely and efficiently for years to come. To schedule your annual maintenance or to inquire about any of our other services, please contact us at 301-843-1491! To browse our quality products, visit our 20,000 square foot showroom or check out our online hearth and patio store. 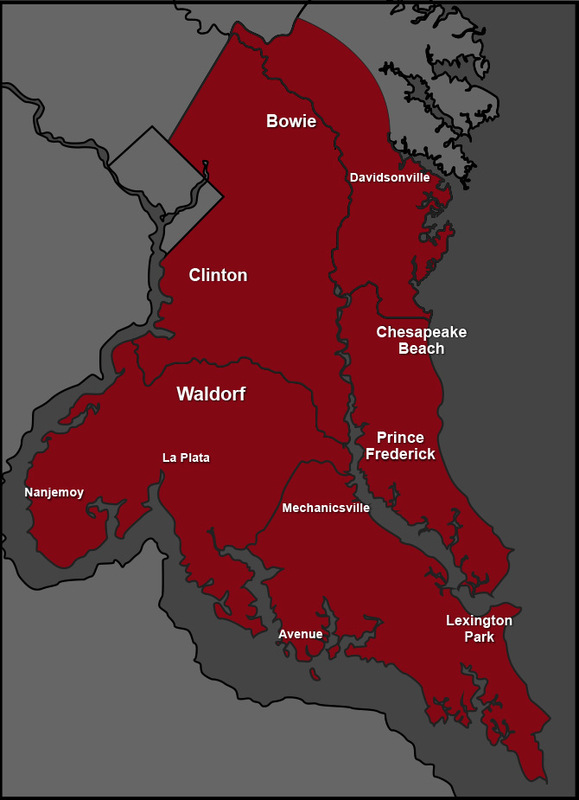 Magic Broom is proud to have two locations, one in Waldorf, Maryland and the other in Lexington Park, Maryland. We provide services to Charles, Calvert, St. Mary’s, Prince George’s, and Lower Anne Arundel counties. 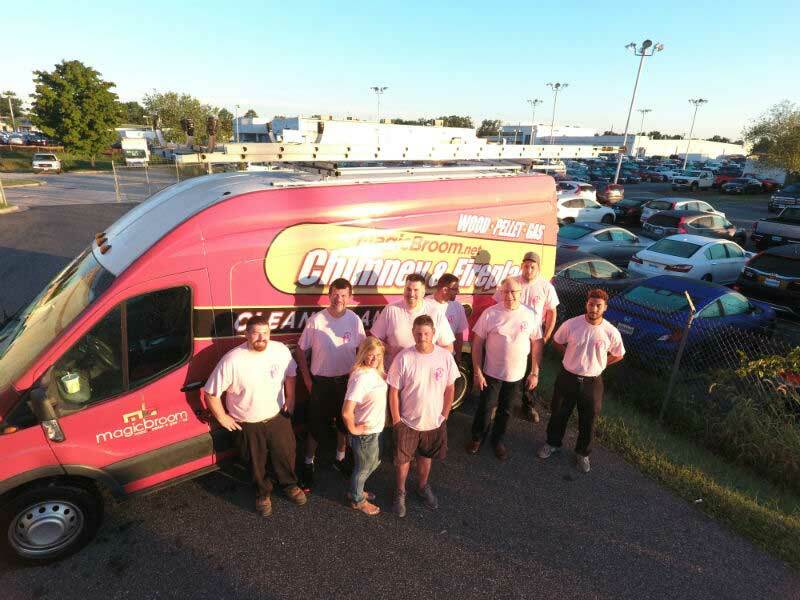 Our service area extends north to Tracy’s Landing, south to Scotland, east to Chesapeake Beach, and west to Nanjemoy. To find out if you’re within our service area, please refer to our detailed Service Area page. If you don’t see your zip code, city, or town listed, please contact us to find out if you’re located within our service area. Use our FAQs (Frequently asked questions) page for detailed information on brands we carry, our services, and our office hours, and don’t forget to check out our video library. We look forward to hearing from you and keeping your home and family safe and warm for years to come! Schedule an appointment with a Magic Broom professional, today! Magic Broom is proud to be able to provide all the chimney and fireplace services you will ever need for your home and family safety, so call us soon.